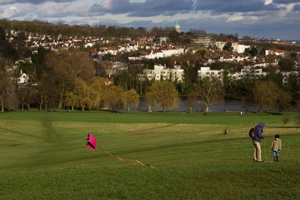 Hampstead is a charming village with its own High Street full of eclectic shops and is cafe society. Frequented mainly by those seeking a quiet drink in a more-than-usually traditional English pub. The main shopping streets are filled with the young and trendy socialising over a cappuccino and those heading towards Hampstead Heath for a stroll. There are many interesting museums, including the homes of Sigmund Freud and Keats. There are many restaurants in the village, one of note is 'Base' with a good offering of modern European cuisine. The Flask pub in Flask Walk allows you to step back in time. A taste of Japanese cooking is on offer from Jin Kichi and Villa Bianca has a select Italian menu set in cobbled Perrins Court. There are many fine Georgian and Victorian terrace residences, detached and semi-detached houses here. Hampstead has lots of winding streets full of spacious homes, with traditional and contemporary interiors. Notable Independent Secondary schools include University College School in Frognal (alumni include poet Thom Gunn, athlete Roger Bannister and musician Julian Lloyd Webber). A good State school is Parliament Hill. There are a number of quality primary schools in the area. From Hampstead the Northern Line comes straight into central London giving direct access to the City. From nearby Finchley Road Tube, the Jubilee Line gives access to Westminster, Waterloo, London Bridge, and Canary Wharf.